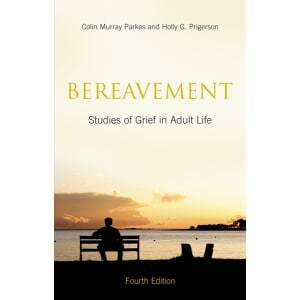 Studies of Grief in Adult Life by Colin Murray Parkes and Holly G. Prigerson. The loss of a loved one is one of the most painful experiences that most of us will ever have to face in our lives. 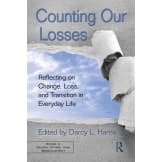 This book recognizes that there is no single solution to the problems of bereavement but that an understanding of grief can help the bereaved to realize that they are not alone in their experience. • Long recognized as the most authoritative work of its kind, this new edition has been revised and extended to take into account recent research findings on both sides of the Atlantic. Parkes and Prigerson include additional information about the different circumstances of bereavement including traumatic losses, disasters, and complicated grief, as well as providing details on how social, religious, and cultural influences determine how we grieve. • Bereavement provides guidance on preparing for the loss of a loved one, and coping after they have gone. It also discusses how to identify the minority in whom bereavement may lead to impairment of physical and/or mental health and how to ensure they get the help they need. This classic text will continue to be of value to the bereaved themselves, as well as the professionals and friends who seek to help and understand them.